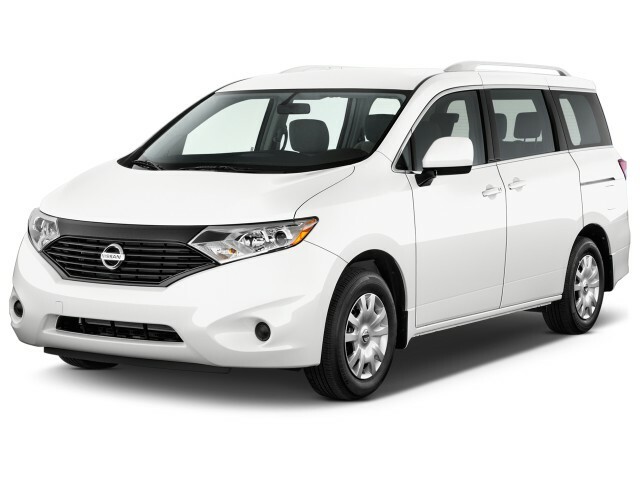 The Nissan Quest is the Japanese automaker's minivan. The nameplate was introduced for the 1993 model year, and since then, the Quest badge has been applied to three very different generations of people haulers—although all of them have been minivans. With the Quest, Nissan offers a vehicle that is able to transport up to seven passengers with a more sprightly driving feel than some of its minivan rivals—vehicles such as the Toyota Sienna, Honda Odyssey, Dodge Grand Caravan, and revamped Kia Sedona, and Chrysler Pacifica. The Quest was last redesigned in 2011. The 2017 model is unchanged from 2016. It's a likable van, but its poor crash test scores put it at odds with its family-oriented positioning, which led to Nissan pulling the van after 2017. With its most recent redesign in 2011, the Quest moved to a platform shared with a Japanese-market van, a vehicle it is now built alongside. Nissan made some tweaks to try and Americanize the platform, but its home-market roots show through. It now has less interior space than competitors, no nifty seat tricks, and fewer of the high-visibility features that make other minivans so practical. 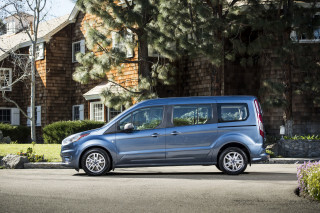 The smaller size may be seen as a boon for some, but most minivan buyers are looking for maximum practicality and not necessarily a tidier package. It is at least one of the better looking vans, as far as that goes, with an attractive floating-roof look thanks to blacked out side profile. But minivans are rarely purchased on style concerns alone. 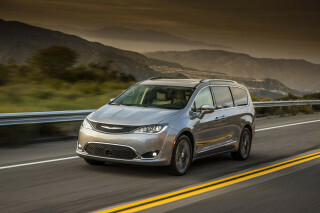 Carried over mostly unchanged since it was launched for 2011, the Quest simply doesn't have the flexibility or features to compete with Chrysler's minivans. Its seats no longer fold into the floor, and they cannot be removed, making it the least adaptable minivan on the market. Its interior volume has fallen, because it's based on a Japanese-market minivan called the Elgrand, and the openings of the sliding side doors are narrower—apparently not designed with us big Americans in mind. The current Quest at least performs better than the model it replaces. Power comes from Nissan's corporate 3.5-liter V-6, here making 260 horsepower and linked to a continuously variable transmission. 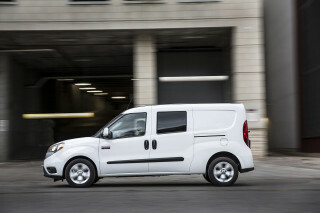 The van's smaller size and lower weight mean good acceleration with this combination. That's about the only place it beats the competition, though. The Quest lags behind in infotainment options, and it's one of very few minivans to not score a Top Safety Pick with the IIHS as a result of its "Acceptable" ranking in roof-crush safety and "Poor" grade in the small overlap front crash test. The Quest was unchanged for 2017 and will be discontinued after this model year. Before the current Quest went on sale, two previous editions had managed the family-van duties for Nissan. They were quite different from each other in both specification and size. The first Quest was launched in 1993 to replace the odd Axxess tall wagon. Aimed at the heart of the minivan market, it was powered by a 151-hp, 3.0-liter V-6 and 4-speed automatic. While that first Quest minivan had decent space, the seating configuration wasn't particularly versatile compared to the best competitors. The third-row seat slid on a track, but none of its rear seats could be stowed under the vehicle's load floor. It was co-developed with Ford, which sold a similar model under the Mercury Villager nameplate. A refreshed version was sold from 1999 through 2002, which built on the existing van but upgraded to a 170-hp, 3.3-liter V-6. (A design refresh and the same upgrades came to the Villager, as well.) This version included three rows of seating, but yet again, its interior space and ease of reconfiguration suffered in comparison to the rest of the segment. Filled with sub-par hard plastics, the interior wasn't very welcoming, but the second-generation Quest drove quite well, with a smooth ride and reasonably responsive handling. That said, its 3.3-liter V-6 never felt as perky as its power figures might suggest. Through 2002, when the second-generation Quest was discontinued, a slightly different version was sold as the Villager by Ford's now-discontinued Mercury brand. Compared to the Quest, the Villager had a slightly upmarket look, and in some cases the Villager could be bought with more equipment for less money than the Quest. After a yearlong absence, Nissan returned in 2004 with a completely new Quest. Much larger than the previous model, this one set a style statement that was completely unlike its predecessor or any other van on the market. Aiming for fashionista families, the Quest employed a flowing, organic exterior with an even more dramatic interior. In addition, seating was completely redone, with all three rows given a more luxurious look in other minivans. A conventional instrument panel was eschewed for a plasticky setup that included an oval-shaped, podlike center stack, housing climate controls and audio, with the shifter mounted up on the dash. Gauges were up in the center of the instrument panel, along with a trip computer screen or navigation screen. Although slightly less functional, this was clearly the most stylish minivan on the market. But the new Quest was never well received. Its interior was functionally better, as both the second and third rows were made to fold flat into the floor. Those seats weren't that comfortable or supportive, though, and the one-piece third-row seat proved cumbersome. Safety proved to be an issue, too; even in 2009, electronic stability control still wasn't standard. But strengths included strong acceleration from the 235-hp, 3.5-liter V-6 and smooth shifts from the 5-speed automatic. Nissan addressed some, but certainly not all, of the Quest's deficiencies in 2007, when it smoothed over the instrument panel, brought the gauges in front of the driver, upgraded interior materials, and introduced integrated headrests for the second and third rows that automatically tilted forward when folding, making stowing easier. Best Minivan on the Market.. 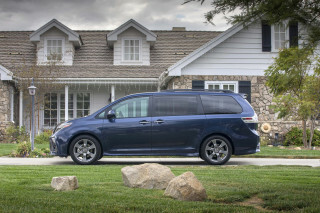 I will match the ride, comfort, performance, handling, gas economy and reliability to any other minivan on the market. I love this vehicle. Contrary to the expert review, storage space has never been an issue... 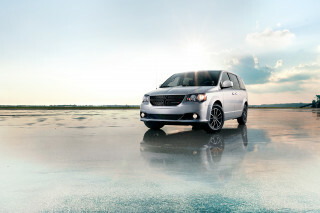 I will match the ride, comfort, performance, handling, gas economy and reliability to any other minivan on the market. I love this vehicle. Contrary to the expert review, storage space has never been an issue for me. In fact, unlike any other minivan, the third seat folds forward and flat rather than drop in a well behind the seat. That leaves a huge storage space that's always available to store things out of sight. As to the sliding doors that don't open wide enough.... no one including our elderly parents have never had a problem getting in the vehicle. In fact they have commented on how comfortable even the rear seats are. As to safety I don't think a head-on crash in any minivan would get high safety marks anyway because you are sitting up over the engine with not a lot of sheet metal in front of you.